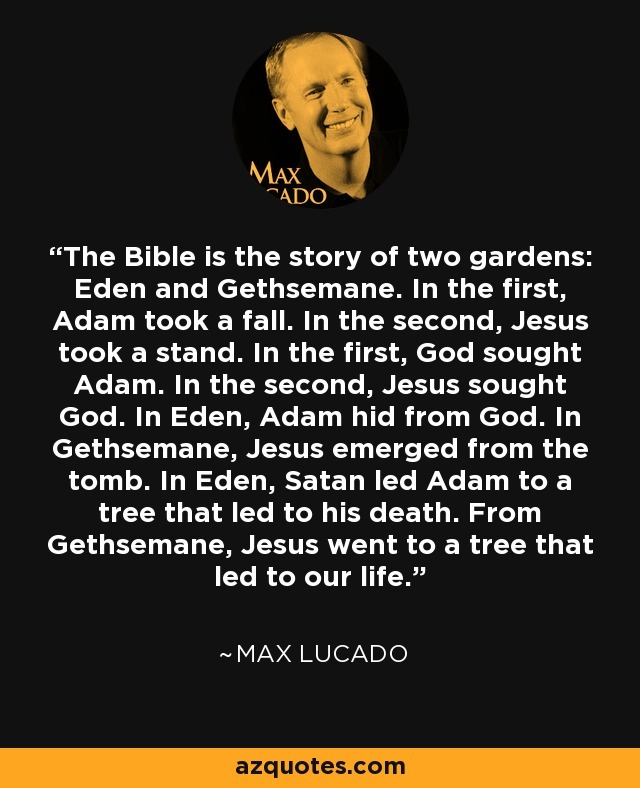 The Bible is the story of two gardens: Eden and Gethsemane. In the first, Adam took a fall. In the second, Jesus took a stand. In the first, God sought Adam. In the second, Jesus sought God. In Eden, Adam hid from God. In Gethsemane, Jesus emerged from the tomb. In Eden, Satan led Adam to a tree that led to his death. From Gethsemane, Jesus went to a tree that led to our life.